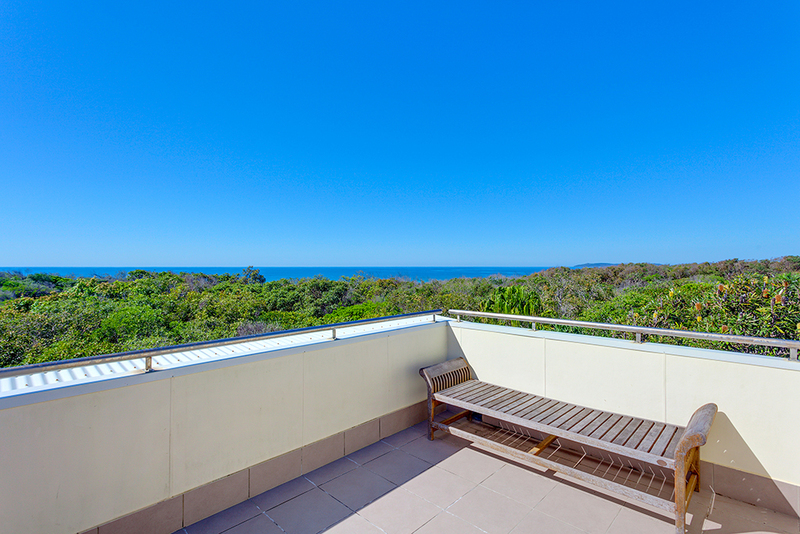 Surfside 17 offers stunning ocean views down to Double Island Point from your own roof deck. 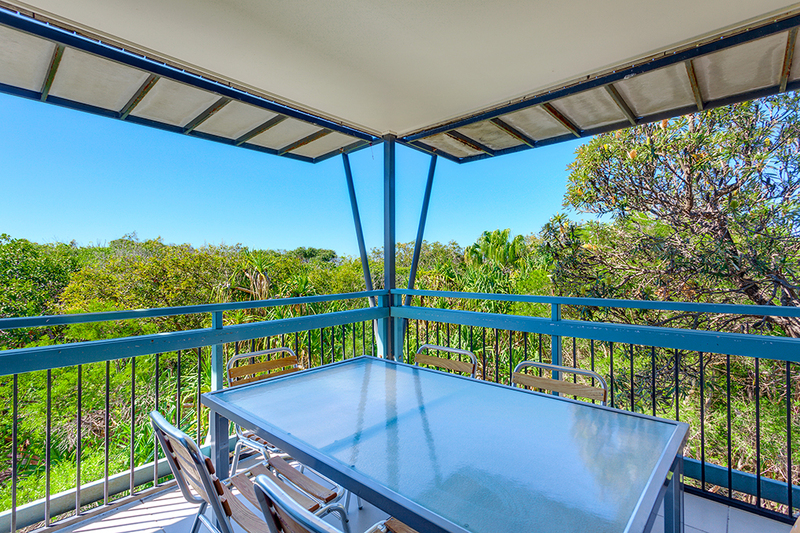 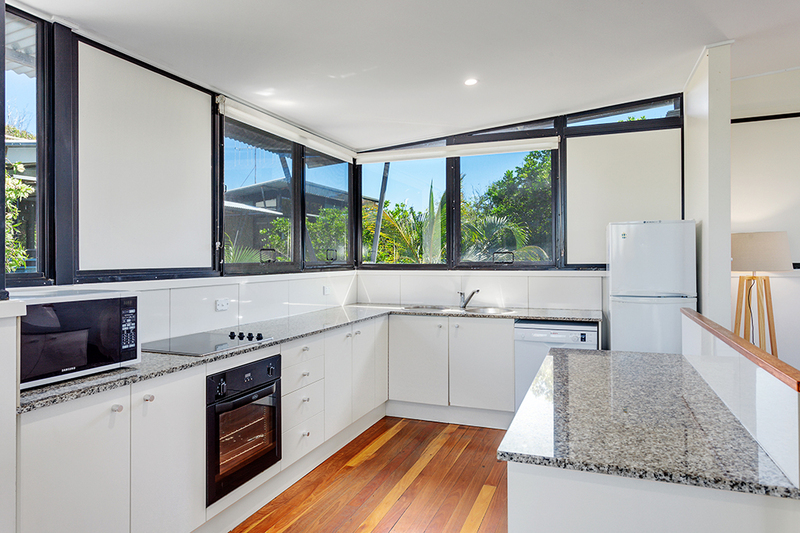 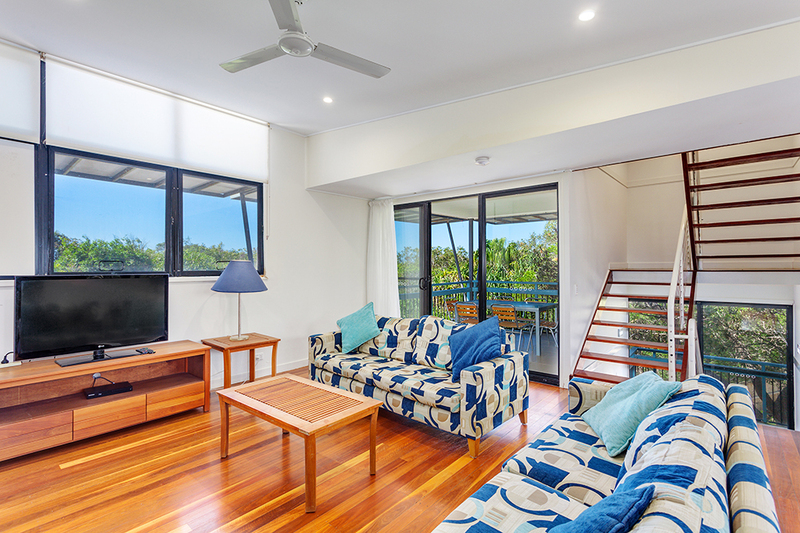 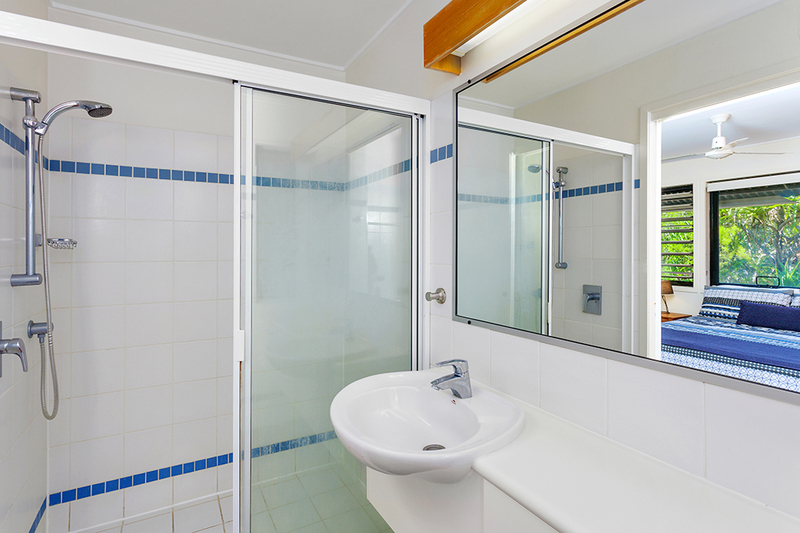 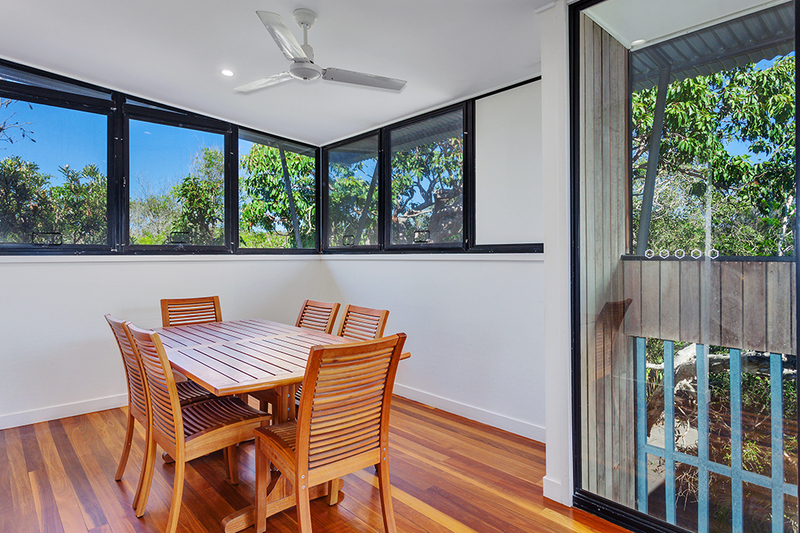 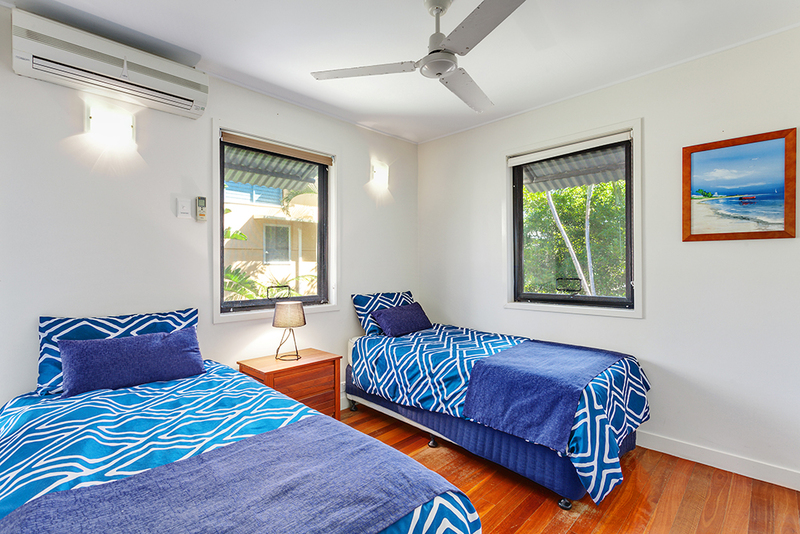 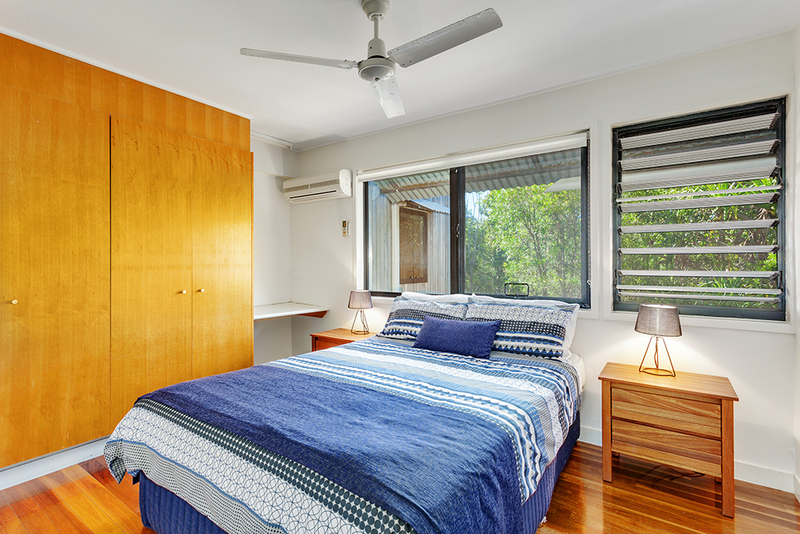 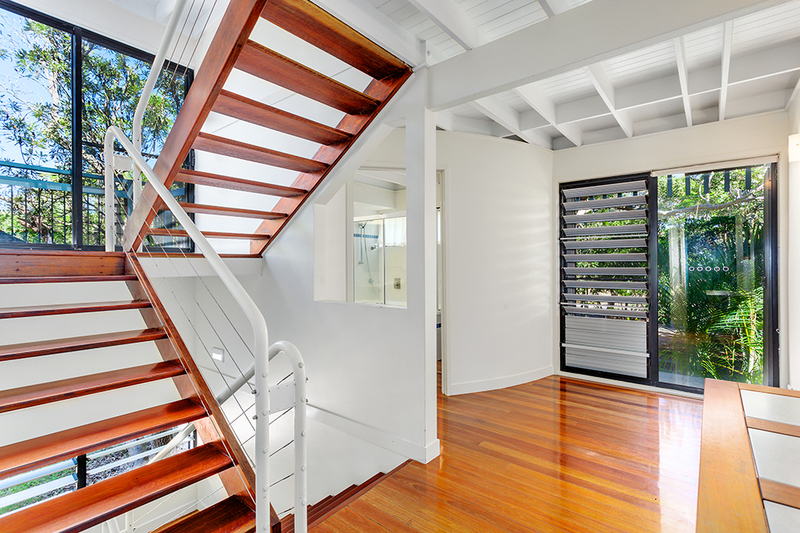 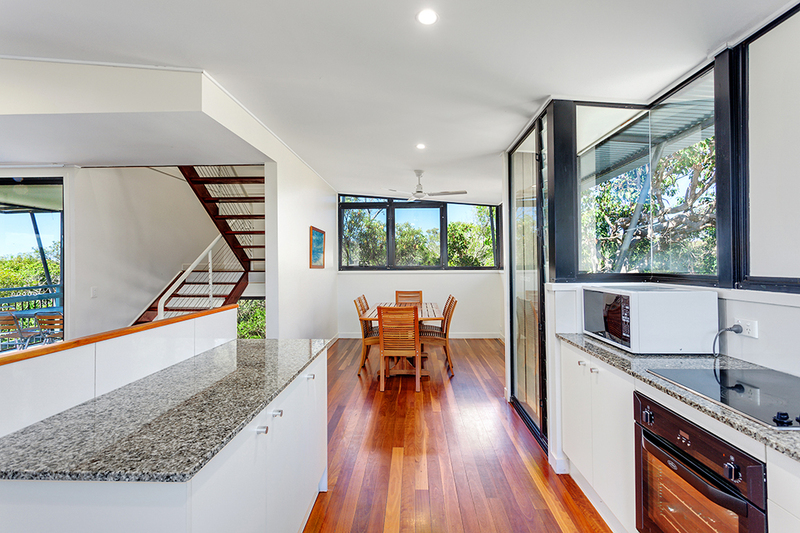 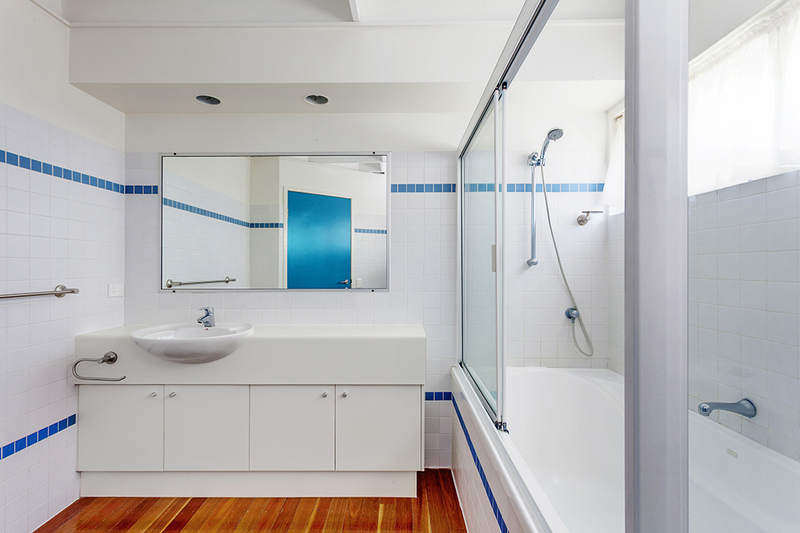 Surrounded by natural bushland, only 120 metres to the gorgeous surf beach at Rainbow. 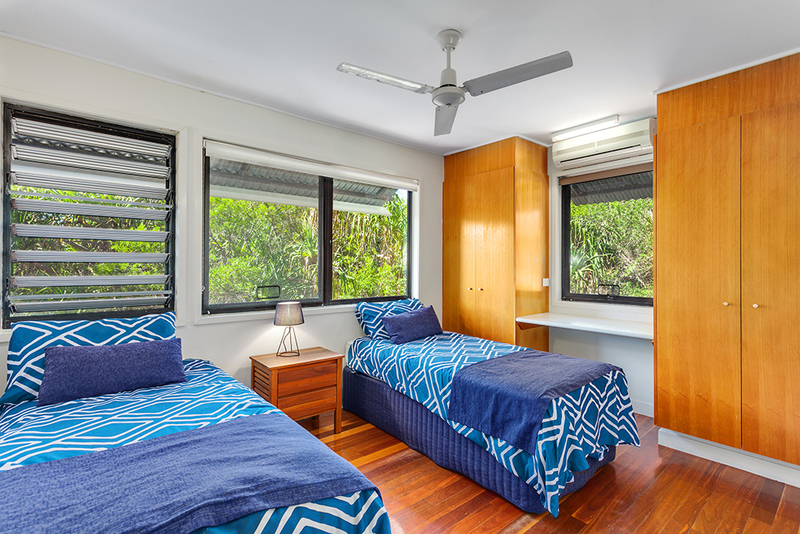 The perfect getaway location for families and friends as it sleeps up to 8 people. 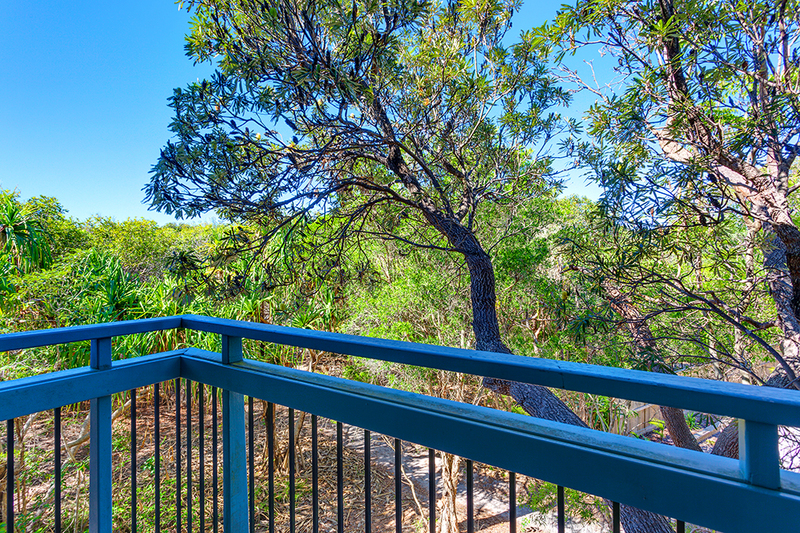 Wake to the sound of the surf and the native birds. 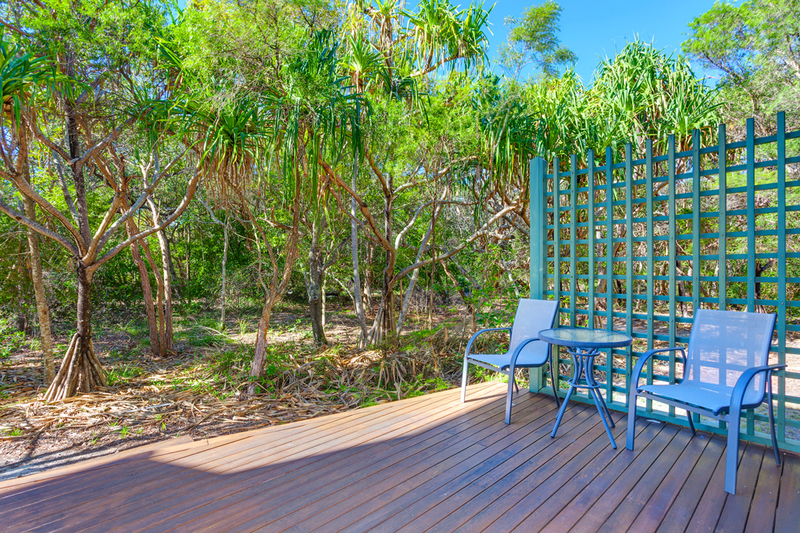 Enjoy the privacy, peace and tranquillity that this beach side retreat provides. 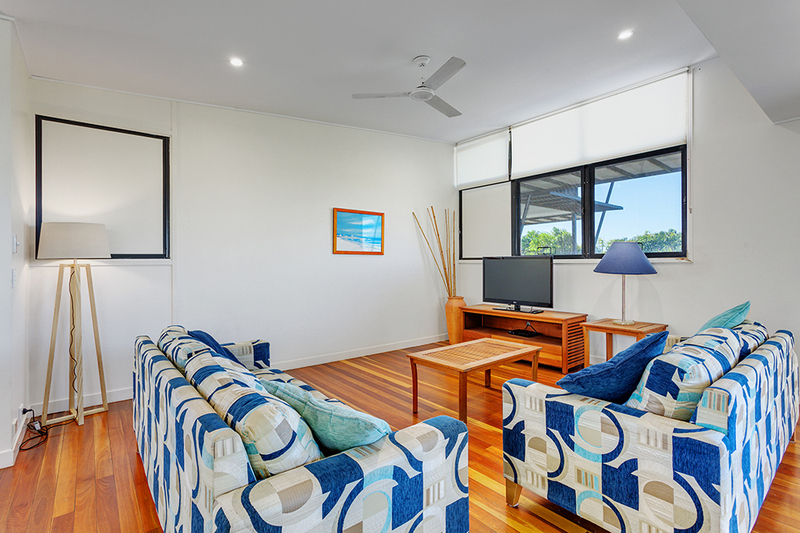 There is easy access to the beach as well as the nearby cafe, bar and restaurant that is part of the complex. 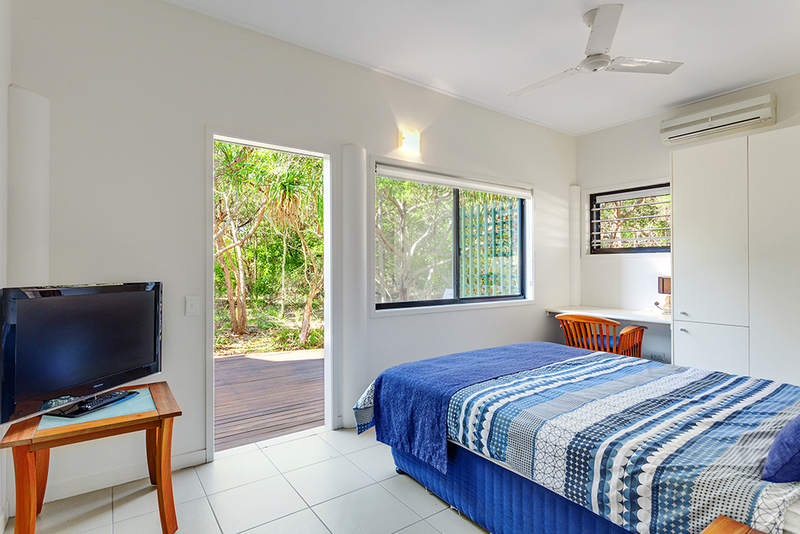 The town of Rainbow Beach is just a 20-minute walk or you can drive into town in less than five minutes.